Smartphones have become a sort of catch-all for our digital media collections, and it’s not uncommon to have a couple of movies tucked way for those times when you have nothing better to do. If you have a Chromecast, though, you’ll probably need an extra app to get those movies onto the big screen. As you probably know, you can use Google Photos to get photos and video from your phone to your TV with its built-in casting option. 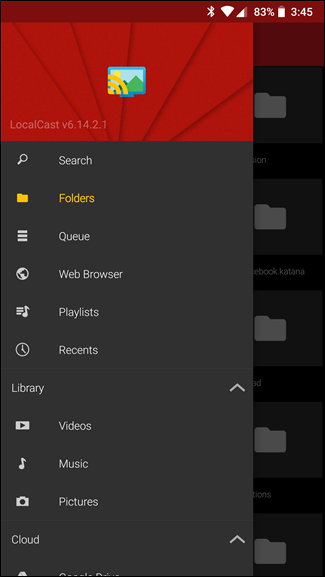 On Android, you can also use this to cast locally stored movies from your phone to your TV by jumping into the Device Folders menu, then finding your movie. The thing is, this is far from the ideal app for this sort of situation. Sure, it’ll work in a pinch, but in my experience, the video was very choppy, and Google Photos didn’t support a lot of the common codecs you’ll see in ripped and downloaded movies. Thankfully, there’s a much better option available for both iOS and Android: LocalCast. 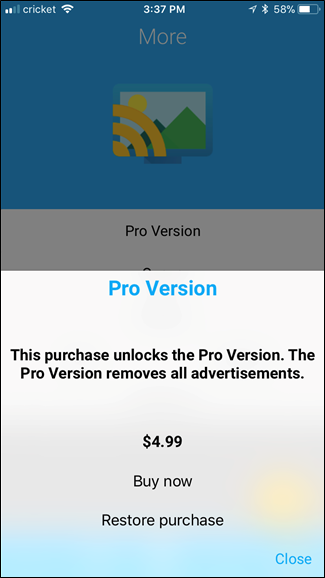 The app is freely available for both iOS and Android, though it does offer in-app purchases to remove ads and unlock more features. The free app itself is pretty powerful on its own though. So if you’re looking to stream more than just locally-stored pictures and videos, you can step your casting game up with LocalCast. 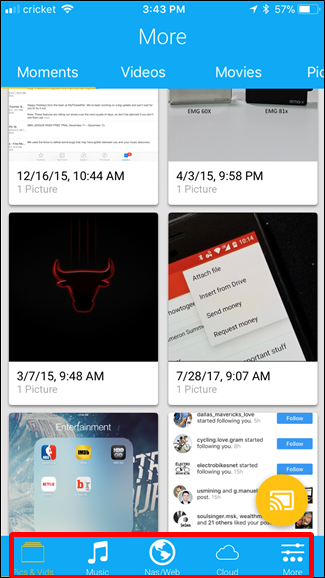 This is a super useful app that will allow you to cast any media on your device— including pictures, videos, or music—as well as cloud content from Google Drive, Dropbox, and even Instagram (iOS only). It also has network support for casting from network-attached storage, and a built-in web browser for casting videos from the web. This makes it a great choice for movies, because it doesn’t matter where you have them stored. To make it even more versatile, it also supports casting to a number of devices: Chromecast, Apple TV, Fire TV, Sony and Samsung Smart TVs, Xbox 360/One, or any other DLNA device. It supports a variety of audio and video formats, but if you have problems, check out LocalCast’s FAQ—it’s possible your video or audio format isn’t supported by LocalCast or by your Chromecast. The interface is pretty straightforward on both iOS and Android, staying true to the respective design guidelines for each platform. The functionality is mostly the same between the two, and it’s pretty intuitive to use—if you’re familiar with your current operating system, then you shouldn’t have any issues using LocalCast. 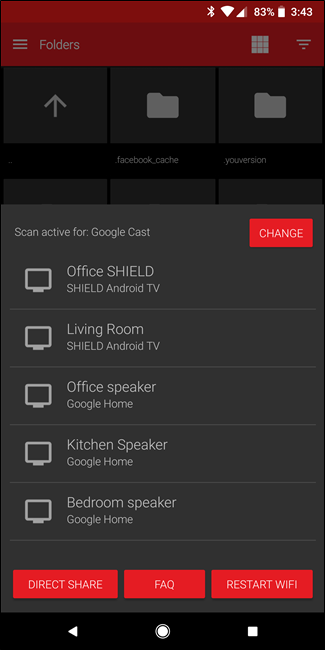 Once you launch the app, use the cast button in the bottom right corner and choose your casting device. From there, just navigate the app normally and choose the movie you’d like to watch. 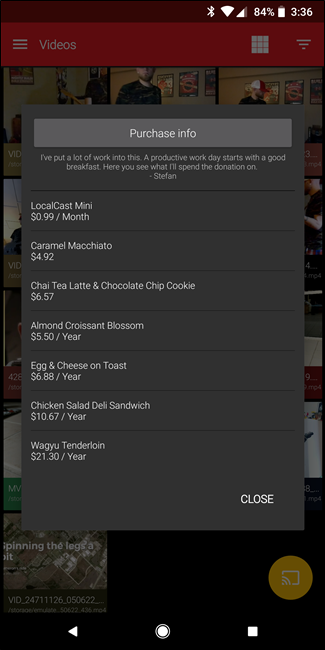 On iOS, all the navigation options are at the bottom of the interface (see below left); on Android, everything is tucked into the menu on the left-hand side (see below right). Just find the category that suits what you’re looking for, and stream away. When you’re finished, just tap the cast icon again and disconnect from there. 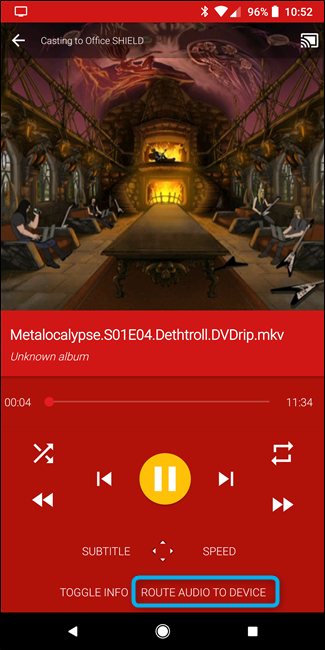 Aside from offering options to cast nearly any type of media from a variety of sources, LocalCast also has a very unique feature on Android that allows you to cast a video to the TV, and play the audio on the phone. With a pair of headphones, you can use this as a sort of private listening option. It’s very cool. 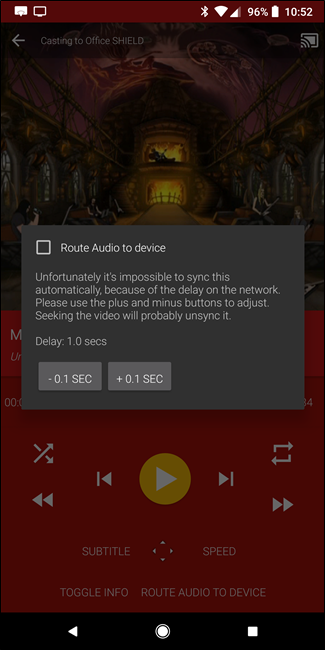 To use this feature, tap the “Route audio to device” option on the bottom. Once enabled, the audio will play on the device, though it’s noted that it may be slightly out of sync. To fix this, the app offers quick +/- 0.1 second audio syncing. It’s pretty legit. If you’re into LocalCast after trying it out for a while, you may want to consider jumping on the Pro version of the app. On iOS, this will set you back $4.99 and removes all ads. On Android, however, it works a little differently. 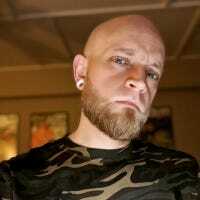 It uses a “pay what you want” model with several different options, including $0.99 a month, one-time payments of $4.92 or $6.57, or yearly offerings of $5.50, $6.88, $10.67, or $21.30. Take your pick. 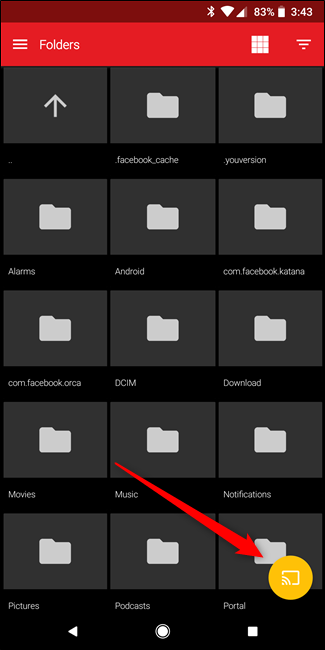 Regardless of which level you pick, it will remove ads, make the navigation bar translucent (on supported devices), add on-device search, allow you to preview local videos, and more. It’s pretty solid.